It goes without saying that going to Disney World is a magical experience in and of itself. From the rides to the iconic Disney characters walking all over the park, just being there is a total dream come true. But for real Disney lovers there’s one thing that makes Disney Parks the most wonderful place on earth: the food. From Dole Whips to churros, Disney food is an experience to behold — and is often the reason we find ourselves in the park just about every afternoon around snack time. The parks are constantly updating their menus to reflect the latest trends in food, seasonal, and sometimes even color trends. But now that the (hopefully) final nor’easter has come and gone, and the weather is starting to warm up, Disney World is ushering in spring with an array of new additions for the menus around Magic Kingdom. For those looking for an easy sweet snack, Main Street Bakery has released the Flower Crown Cupcake — a spring treat that perfectly pairs with those brand new millennial pink Minnie ears. For the Dole Whip stans looking to add a spring twist to their favorite frozen snack, don’t miss out on Sunshine Tree Terrace’s new Orange Cream swirl. 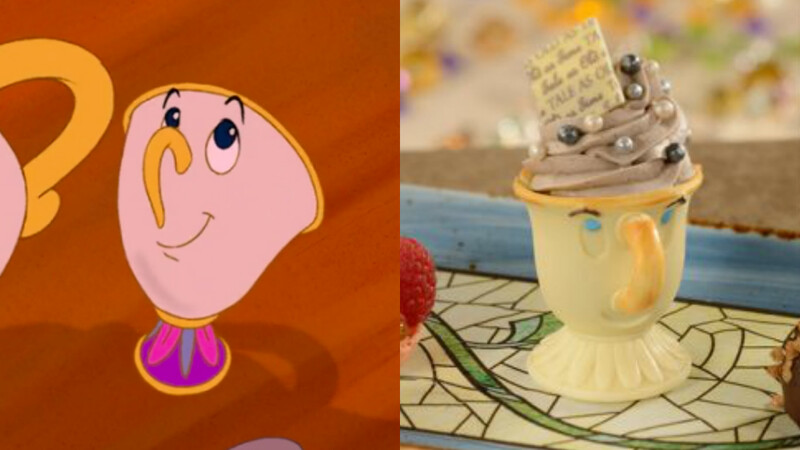 Meanwhile, Be Our Guest Restaurant has just unveiled a new desert trio that pays homage to an iconic Beauty and the Beast character. The white chocolate Chip cup — featuring the restaurant’s legendary “Grey Stuff” — comes flanked by a dark chocolate-hazelnut truffle and strawberry macaron. Other tasty new snacks and drinks hitting Magic Kingdom this spring are the Mint Julep Lemonade Slushy at Casey’s Corner, Italian Cream Cake at Pinocchio Village Haus, and Caramel Turtle Milkshake at the Plaza Restaurant. And that’s just a taste of the new additions scattered around Disney World. The next time we find ourselves at Magic Kingdom, we may have to forgo rides and just eat our way around the park instead.